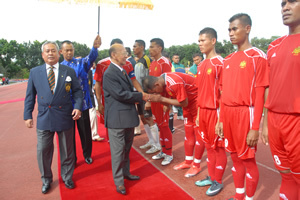 BANGI, 3 Nov. 2010 – His Royal Highness the Sultan of Kedah, Sultan Abdul Halim Mu’ Adzam Shah, as the Colonel in-Chief of the Royal Malay Regiment (RAMD) today attended the soccer final between two RAMD teams at UKM Stadium, here. 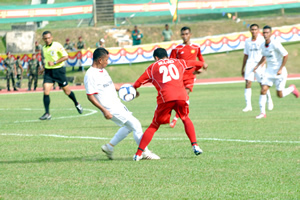 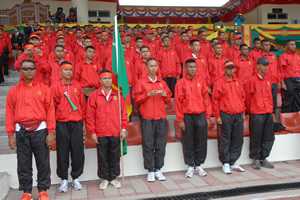 The match for the Sultan Abdul Halim Mu’ Adzam Shah Cup for 2010 was between the 1st Royal Malay Regiment and the 9th RAMD. 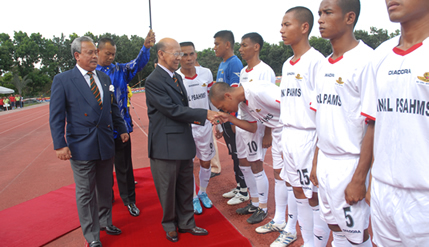 The Sultan later gave away prizes to winner of the match 9th RAMD which beat 1st Royal Malay Regiment 1-0.